In the 39+ years I've spent with me, I've learned by now that making resolutions is a pointless exercise (speaking for myself, of course). Although this year I actually considered some pretty lofty ones there for a minute. "This year I WILL clean out the kitchen junk drawer(s) and throw away all of the pens that don't work." Then I couldn't accuse everyone of stealing all my good pens. Also it has the word "clean" in it. Nope. "This year I WILL go through all of the mail in a timely matter and not let it junk up my kitchen counter/table/every surface in the house." Well, that's not even a little bit reasonable. "This year I will NOT drive for miles and miles after my low fuel light comes on every single time and have to hold my breath until I get to a gas station." "This year I will fold and put away the laundry when it comes out of the dryer instead of letting it accumulate in one million baskets scattered around the house." Now I've officially gone off the rails. I should stop. I'm not a huge fan of the whole New Year's mentality anyway. It's too much pressure. Like it's supposed to be some magic reset button on life. And if something goes wrong on day one, the whole rest of the year is screwed. I don't like that - not one bit. Maybe in part because I say I'm going to "eat healthy" and then I go and do things like eat Chick-Fil-A and Taco Bell and frozen pizza and Ghirardelli toffee squares on January 1st right out of the gate. No, seriously. I actually did that. Whatever. It was a delicious day. On New Year's Eve several people in my newsfeed posted a quote that said, "Tomorrow is the first page of a 365 page book. Write a good one." The idea behind that quote is great, and I'm not knocking it or the people who shared it. But there's something about it that just doesn't sit well with me. 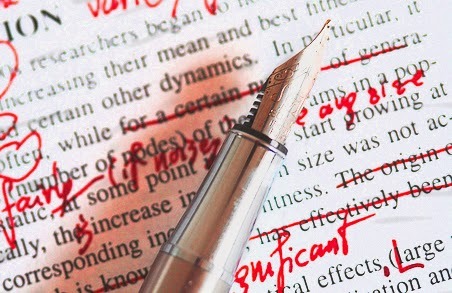 When I write a blog post, I spend about an hour editing before publishing it. I know, right? ONLY an hour for edits? These masterpieces should take much longer than that! You're really too kind. Even after spending all that time going over and over…AND OVER what I've written, I still go back and find spelling mistakes and grammar mistakes and countless ways I should have worded something differently. If the first draft was the final indicator of how good the finished product was going to be, every writer in the history of ever would probably starve to death. My point is (believe it or not I do have one) - if you screw up on day 1, or day 5, or day 364…there's always room for edits. So this year, whenever I screw up - AND I WILL - I will resolve to remember that EVERY day is the first page of my new book.